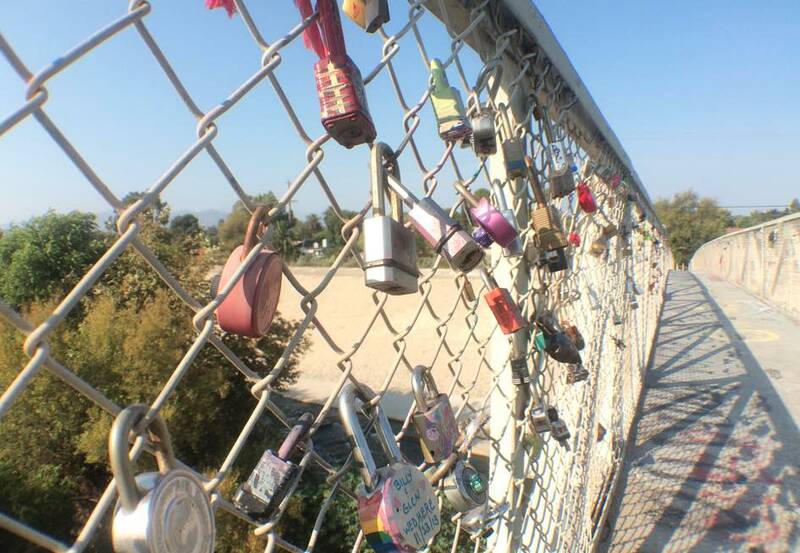 Did You Know We Have Love Lock Bridge Right on Top of the L.A. River? FREE THINGS TO DO IN L.A.
Get The #1 Newsletter in L.A.
Love locking. It’s a thing. Maybe you’ve heard of it. Maybe you haven’t. 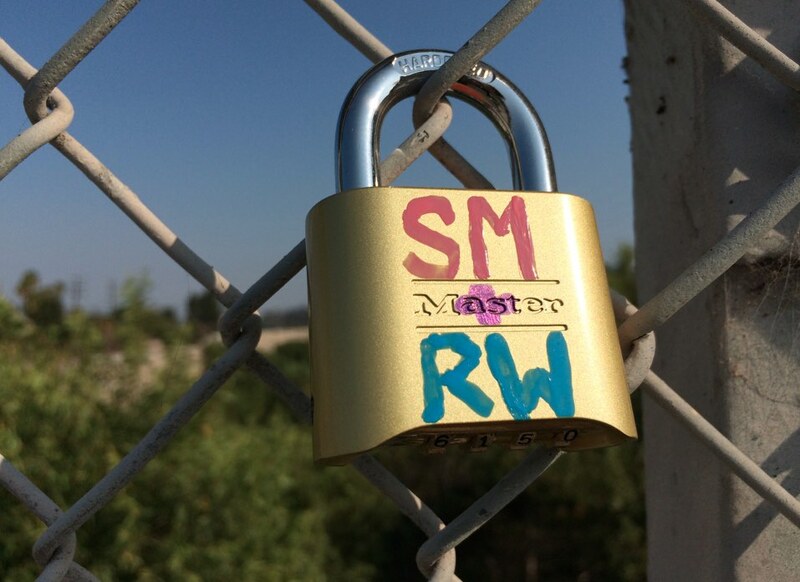 For the uninitiated, here’s how it works: a couple writes their names on a padlock, chains it to a public landmark (usually a bridge) and tosses away the key (usually into a nearby river or waterway), thus symbolically cementing their love for all eternity (possibly). The most famous example of a (former) love lock hotspot is at the Ponts de Arts Bridge in Paris, which became a sort of international love lock superstar, amassing thousands of padlocks over the course of several years. Of course nothing lasts forever (irony!) and earlier this year the bridge became so overrun with locks that officials had to remove all of them and repair what was left over. Ok, so that’s the primer. 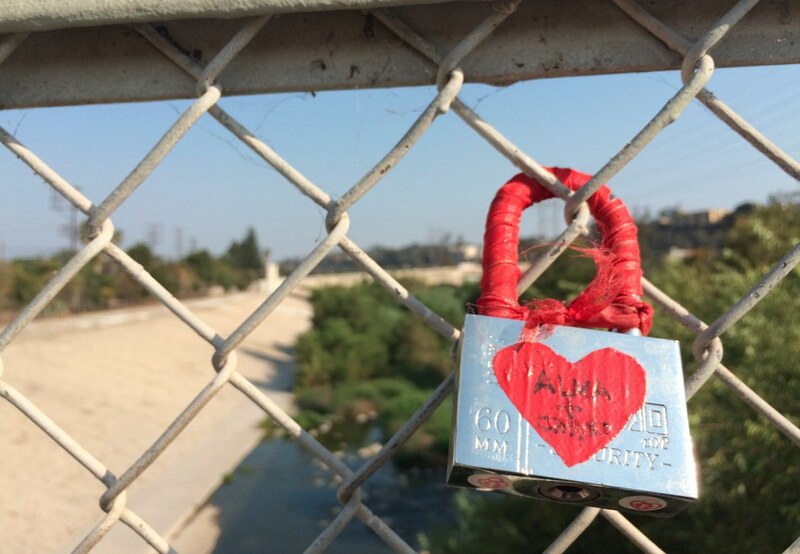 Now what you may not know is that Los Angeles has much smaller version of a ‘love lock bridge’ that extends over the Los Angeles River between the 5 freeway and Atwater Village, just north of the Glendale Blvd river overpass. The Sunnynook Pedestrian Bridge may not be much to look at it on it’s own, but the slowly growing collection of padlocks (some scrawled upon with brief messages or initials) do make a unique addition to the public space. And it’s slowly gaining more and notoriety. 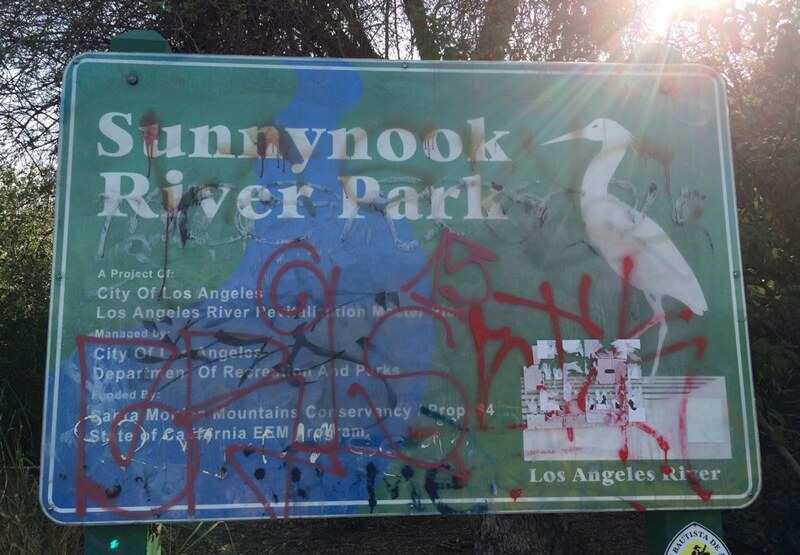 Several blogs, including Eastsider LA have written about the love locking at Sunnynook, and the bridge even has its own Facebook page now. If you decide to visit there’s also a little park that runs parallel to the river on the western side of the bridge, adjacent to the L.A. River bike path. At the park you’ll find a variety of benches, cactuses, public info installations, and a set of walking paths that carved up the space nicely. In any case, let me show you a few pics I snapped. First, I honestly don’t know what the risk is from an engineering perspective if the bridge were to somehow amass thousands and thousands of padlocks. And in terms of how many locks it would take to actually have a detriment…? I’m not going to try to do the math on that. I do know it would cost the city a pretty penny to take down the fence and replace it, and so for that reason, Christina and I didn’t bring our own lock to place on the bridge. Also, don’t throw you keys in the river. That’s just needless pollution imho. Respect the public space. 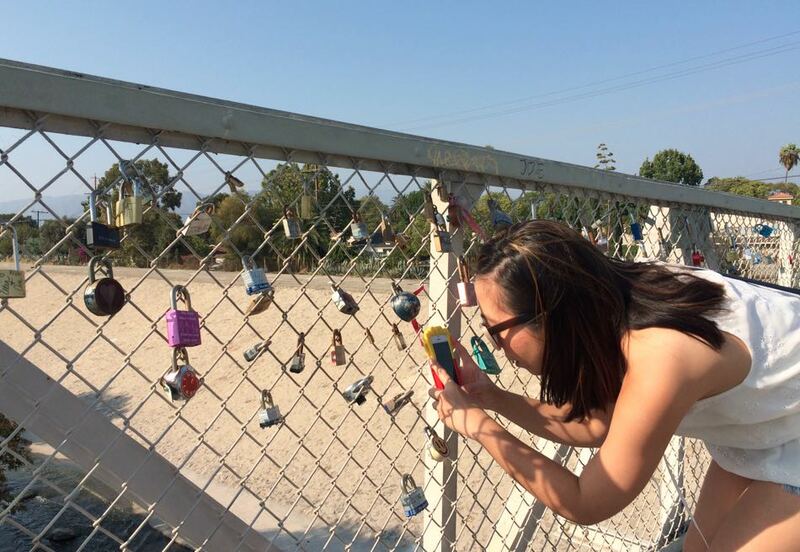 Secondly, I want to thanks to Lisa Dupuy from the Glendale News-Presssu (whom I met at a recent media event in Glendale) for tipping me off to the existence of the love lock bridge. Glad I went to check it out! 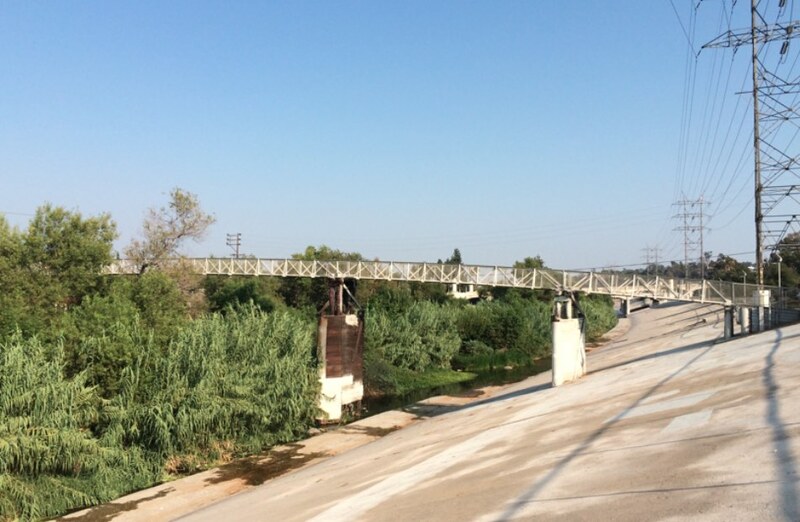 If you’d like to visit Sunnynook Bridge the easiest thing is probably to park on the eastern side in a residential part of Atwater Village, then walk over. You may not want to linger too long as their is a prominent ‘No Loitering’ sign as you come up on the entrance, but that shouldn’t stop you from hanging out to snap a pic or two then be on your way. If you’re mapping it to the corner of Sunnynook and Legion Ln, a street address you could use would be 2901 Sunnynook Dr, Los Angeles, CA 90039. Here’s a link to the Google Map of the park as well. UPDATE: I had an ongoing discussion with a couple of the commenters on the Facebook post associated with this article so I guess I’ll just come out and clarify my thoughts (if it wasn’t evident from above). 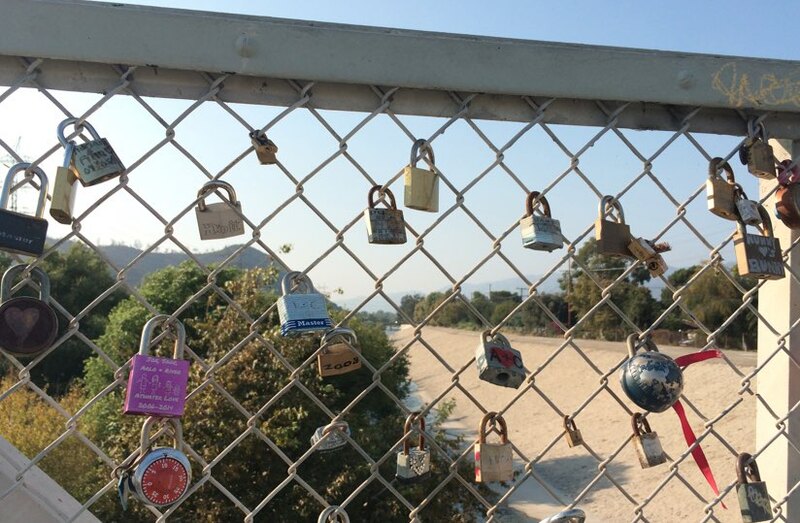 Personally, I would actively discourage anyone from adding a lock to the bridge, but I DO encourage you to check out the space and explore more of the surrounding parks and recreational areas near the L.A. River. In my opinion, raising awareness of the space is fine, as long as we encourage visitors to enjoy it responsibly. And hopefully the city will take note of increased exposure and make some efforts to continually bust the graffiti I observed during my visit.